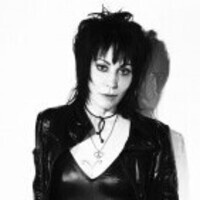 From her days in the Runaways to her string of hits with her band the Blackhearts, Joan Jett became a trailblazer for women in rock. Jett, who grew up in Rockville, Md., endured all kinds of criticism and abuse on and off stage, but persevered to earn her place in the rock pantheon. And on Wednesday, Feb. 20, the WTMD film series, in partnership with Towson University’s Department of Electronic Media and Film, presents a free screening of “Joan Jett: Bad Reputation” at 1 Olympic Place in Towson. “Bad Reputation” premiered at the 2018 Sundance Film Festival, and earned praise from critics including the New York Times, Los Angeles Times and Newsday. Doors open at 7:30 p.m. and the film starts at 8 p.m. at WTMD’s performance studio, 1 Olympic Place in Towson. The film is free and so is the popcorn.